“President Donald Trump’s administration’s release of a list of 35 critical minerals highlights just how reliant the U.S. is on foreign imports, according to mining advocates. 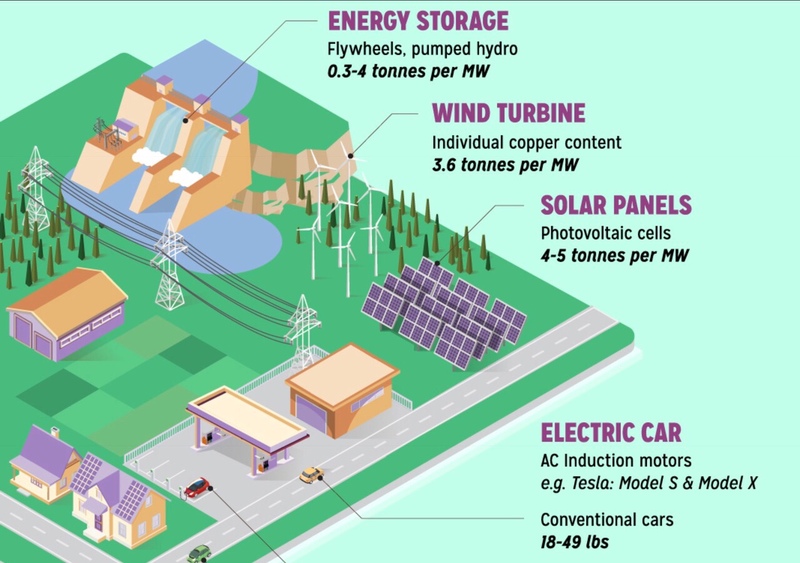 ‘What we see is the degree of U.S. dependency — the US is 100 percent import-dependent for 14 of the 35 minerals and more than 50 percent dependent for another 16,’ said Daniel McGroarty, a principal at the American Resources Policy Network, which advocates for domestic mining. “The Interior Department also noted The U.S. is also reliant on other imported minerals not meeting the threshold to be labeled ‘critical minerals.’ These include copper, zinc, molybdenum, gold and silver. Click here to read Bastasch’s piece, and here to read McGroarty’s full statement on the finalized DOI list. 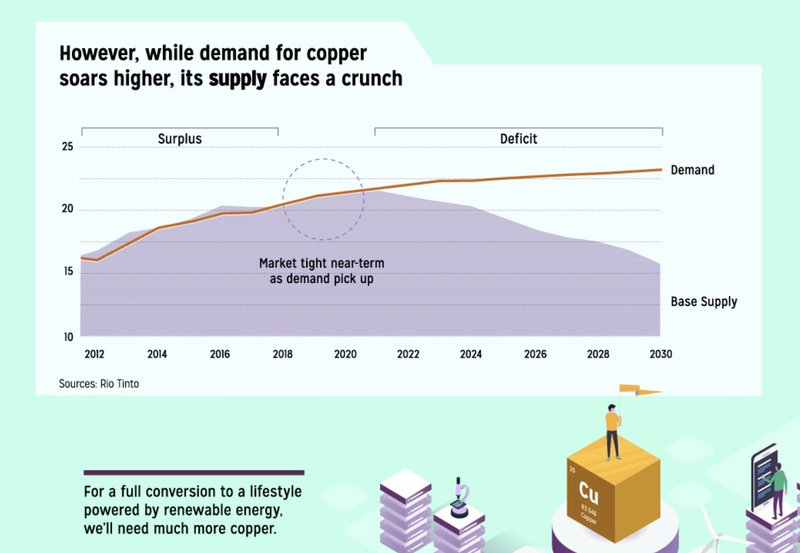 At ARPN, we have long touted Copper’s versatility – its traditional uses, new applications and Gateway Metal status – but for those who still struggle to see more in Copper than your old school industrial metal, some visual help has arrived in the form of yet another impressive infographic from Visual Capitalist. While this is a daunting proposition, there is reason to hope that going forward, the United States will be in a better position to confront looming supply shortages head-on. The Department of Interior may have stopped short of including Copper in its list of 35 minerals deemed critical from a national security perspective. However, the growing awareness of mineral resource security and supply issues can be a catalyst for meaningful policy reforms (such as the Amodei amendment to the National Defense Authorization Act) aimed at creating a framework to safely and efficiently harness our nation’s own vast mineral resource potential.